Our intimate, supportive environment lends itself to students developing strong relationships with their peers and teachers. 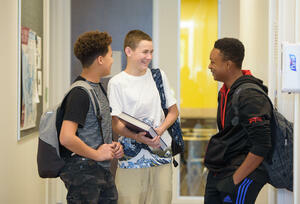 Students meet individually, and as a group, to discuss issues, school-related activities, or sometimes just to vent. These meetings allow students to share ideas and develop communication skills that will serve them well beyond their time with us. The very nature of our individualized education provides an exceptional opportunity for our staff to lend a helpful ear to every student. 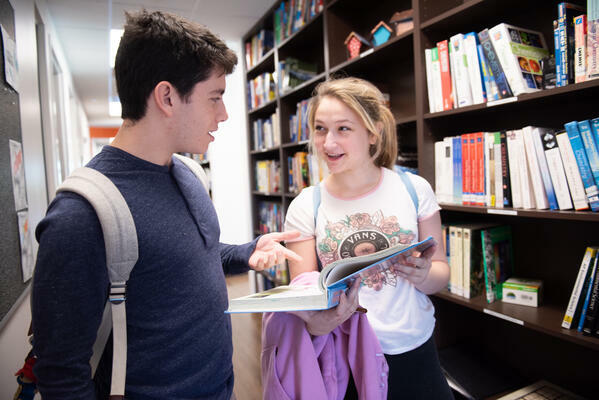 We meet with students both formally and informally during the school day to provide counsel, guidance, thought-provoking questions, and occasionally some concrete answers to life’s questions. We love to celebrate success and look toward the future. For those students who require additional support, Score Academy has built trusted relationships with a diverse set of providers to whom we may refer families seeking additional support.